Escherichia coli O157: H7 is a particularly dangerous strain of the bacterium Escherichia coli, commonly known as E. coli. 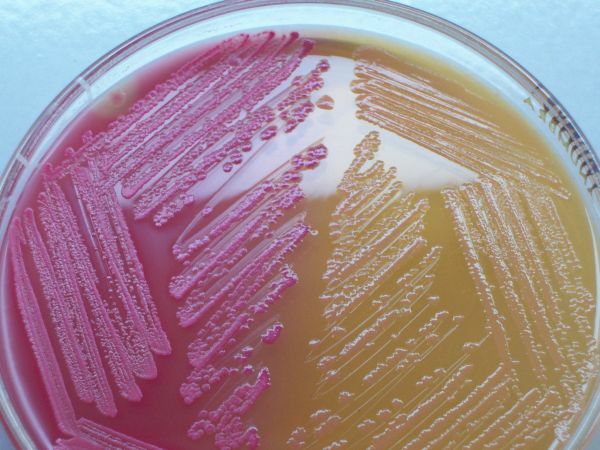 There are many strains of E. coli, but most are harmless, some of which even live in the intestines of humans and other animals without causing damage. However, a few strains, such as Escherichia coli O157: H7 can cause very harmful symptoms to their victims, such as vomiting and bloody diarrhoea. In some cases, it has lead to kidney failure and even death. 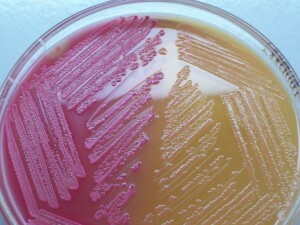 The strain Escherichia coli O157: H7 produces a toxin called Shiga toxin, also known as Shiga toxin-producing E. coli (STEC). Drink eight to ten glasses of clear fluids, preferably water. Drink oral rehydration mixtures to replace lost minerals and fluids. Instead of eating three big meals, eat small meals instead. Put some salty food in the diet, such as pretzels, soup, and sports drinks. Add foods high in potassium, such as bananas, potatoes without the skin and fruit juices with plenty of water. It is not ideal to take anti-diarrheal medications as it may cause the infection to last longer. Disclaimer: This article does not provide medical advice and should not be substituted for formal training. The information given should not be used for self-diagnosis. Seek medical attention when necessary. It is important to recognise potential medical emergencies at all times to avoid complications from developing. To learn more about how to manage Escherichia coli O157: H7 infection, enrol in First Aid Courses and CPR Courses with Red Cross Training.